Tempered glass is manufactured through heating the ordinary glass near to the softening point and then quenching it which to let the glass has a strong permanent internal stress, while the inner layer of the tensile stress and the outer layer of the stress in a stable state of stress balance.Thereby enhanced the use of glass strength and weight-carrying capacity, and enhanced the glass's own wind pressure, cold and heat, impact and so on. 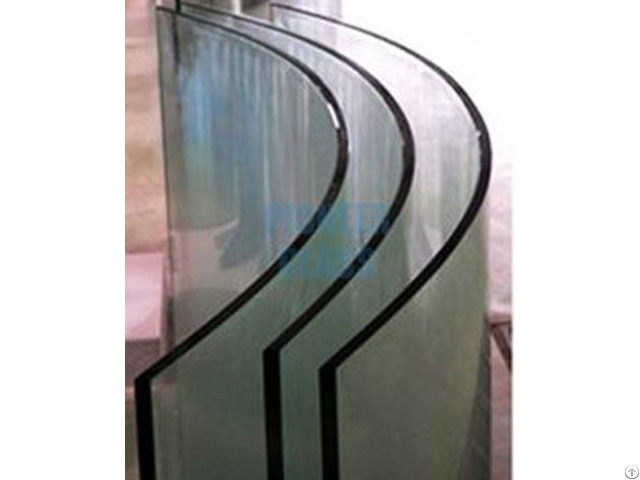 With high strength and strong thermal stability, tempered glass can be widely used in places where required high mechanical strength and safety, such as: glass curtain wall, building windows and doors, balcony rails, pool railings, shower room, home, staircase handrails, office interior partition, insides of buildings where has high density of human and easy touched area such as doors and windows, curtain walls, cars, trains, ships, and places affected by temperature differences that may cause damage to the human body. 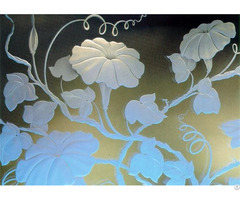 Impact resistance is 3-5 times of the ordinary glass; anti-bending strength is 4 to 5 times of the ordinary flat glass; deflection is 3 to 4 times of ordinary annealing glass. Refers to the glass can withstand the dramatic changes in temperature without damage to the performance.The thermal stability of tempered glass is 3 times better than that of ordinary glass, and it can withstand the rapid change of climate and environment temperature. 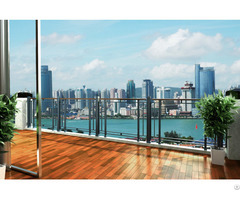 Tempered glass’s usage temperature range: -40℃ ~350 ℃. Withstand the temperature of the drastic range: 250 ~ 350 ℃ (and the general glass only 70 ~ 100 ℃), to place the tempered glass at 0 ℃ environment and pouring molten liquid (327.5 ℃) on it will not be broke. When encountered with external forces, tempered glass will be betokened into a similar honeycomb-like small obtuse angle particles which have will not cause significant harm to the human body. As the tensile stress of the tempered glass exists in the inner layer of the glass, when the glass is broken, under the protection of the outer stress, the glass fragments are similar to the honeycomb obtuse angle particles and will not cause hurt easily.